Bookstores seem to be dying faster than it takes to download the complete works of Shakespeare these days, so when one comes back from the grave it’s a cause for celebration. As it is the case this summer in New York, where venerable retailer Rizzoli Bookstore — booted out of its grandiose West 57th Street premises in April 2014 — has reopened once again. Some feared Rizzoli’s flagship would be gone for good, mounting protests to decry the loss of its elaborate ceilings bedecked with chandeliers, iron-railed balconies and, of course, its well-stocked shelves. Thankfully, that didn’t happen and the store now has new premises on Broadway (1133 Broadway at 26th Street, New York; +1 212-759-2424), which the owners have decked out in a similarly grand fashion. 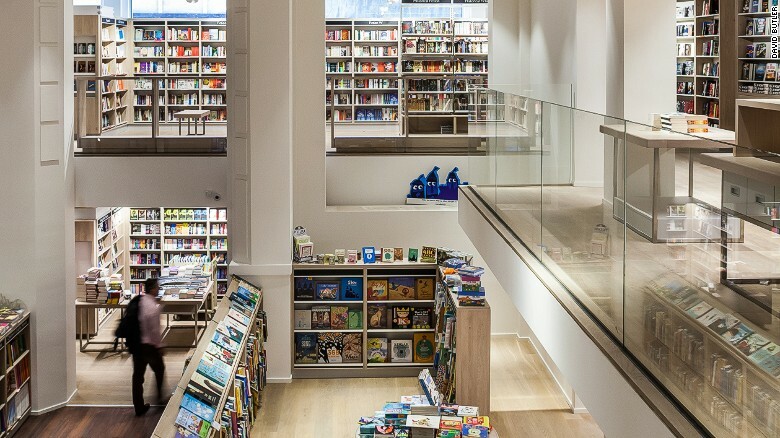 Rizzoli joins other brick-and-mortar book-selling survivors — and brave newcomers — that have adapted to the Age of Amazon in their own ways, from opening 24 hours to undergoing spectacular design renovations or stocking books that aren’t sold by the online giant. Old or new, all with fascinating stories, the bookstores below serve as historic sites, sanctuaries, salons of culture and must-visit entries in any travel itinerary.